The unique display of arts, crafts and designs of various countries around the world in Culture Corner 11.0 helped us appreciate and value the beauty of our traditions. 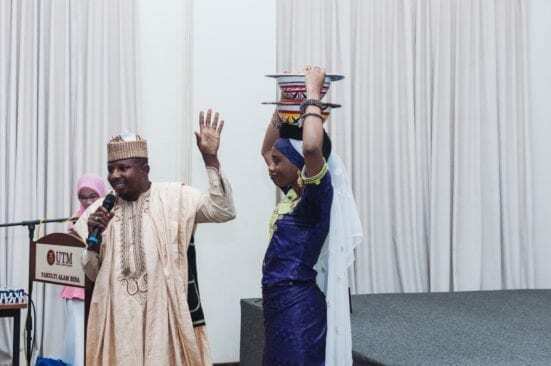 A visual feast of traditional products were displayed through the theme for the latest edition of UTM International’s incentive towards promoting cultural exploration, with the theme “Traditional Crafts”. Starting off as usual with Cuppa Time, a brief ice-breaking session, our Culture Corner moderator, Dr Farhana Diana Deris, a Senior Lecturer from Language Academy, invited all participants to take selfies and post them to their social media accounts with the hashtags #utmculturecorner #utmawesome #utmstudentexperience #cuppatime. 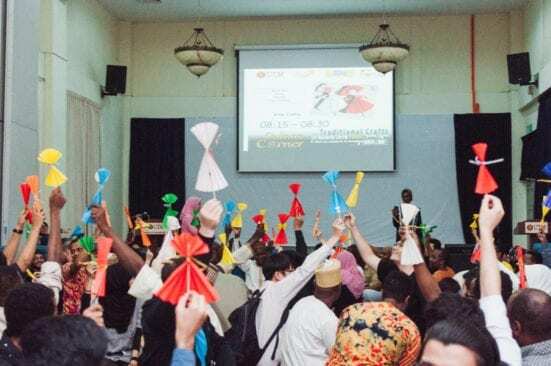 Next, our origami skills were put to use in making a doll out of paper, which was written with the word “friend” in various languages of each group member. The dolls were then exchanged between one another as a sign of a bond being built. 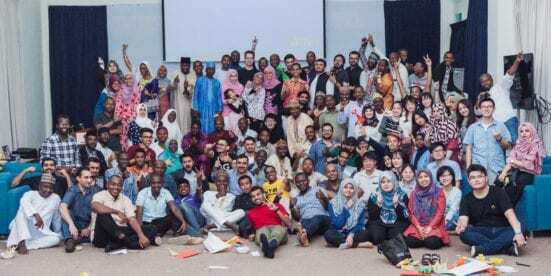 The next session saw presentations of UTM students from Afghanistan, China, Nigeria, Somalia, Yemen, and India showcasing the unique traditional crafts from their country. 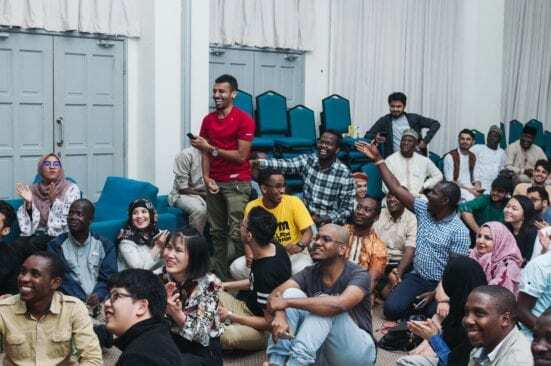 The Malaysia team ended the session by demonstrating “ketupat” casing and the participants had a taste of the cooked “ketupat” with “serunding” (traditional coconut floss). The sharing of knowledge and experiences invoked us to think as artists, makers and designers, which will surely help many of us to work creatively and intelligently to incorporate clever craftiness into our research and also daily life. 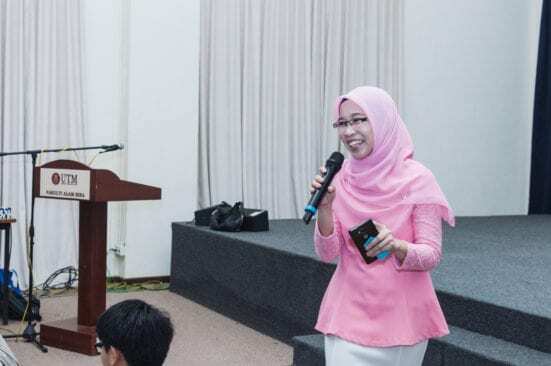 The evening then reached its pinnacle of excitement with fourteen questions of Kahoot, led by Ms Fasihah Jaslan from UTM International, a session never failing to be filled with thunderous applause and cheer. Participants were tested on their new-found knowledge and attentiveness, where three winners emerged in the end. Congratulations to the winners! 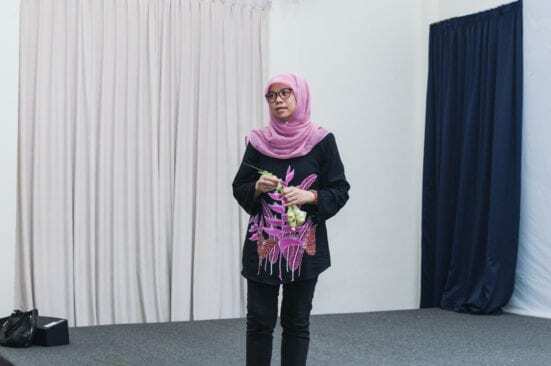 Any Culture Corner would not be complete without a sing-along session, this time with the song “Top Of The World” by The Carpenters, lead by our Culture Corner lead singer Ms Siti Norziahidayu Amzee, a PhD student from Faculty of Science. Group photos marked the end of our eleventh Culture Corner. Our wish as always is that the bond during the event will last beyond the confounds of the venue and we sincerely hope that the students gained tremendously from each other during the interaction and sharing.